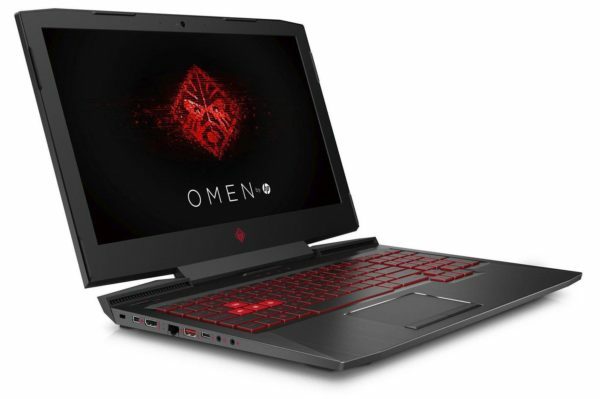 The HP Omen 15-ce008nf is a 15-inch laptop designed for casual gamers with its original, highly structured and stylish design. It is based on a Kaby Lake i5 Quad Core, 8 GB of RAM and a valuable 1.1 TB hybrid storage (128 GB NVMe PCIe SSD). Opposite, the GTX 1050 Pascal takes care of the graphic part with the support of the beautiful Full HD IPS screen. A satisfactory connectivity with USB Type-C, a backlit keyboard and a comfortable range are also on the menu for a price displayed at less than 1000 euros on sale. Aesthetically, HP has a particularly angular and distinguished design. On the back, the lid held by a central hinge takes the carbon fiber patterns of the previous generation (15-ax) but they now coexist with a brushed effect, delimited by a cross underlined with red. The keyboard frame has a “brushed sandblasted” finish and a chrome mesh surrounds the touch pad for a touch of elegance. In addition, the keyboard has been reworked for accuracy and its red backlight slightly helps the visibility of letters in dark atmosphere. Note the bright red color of the letters “ZQSD” put forward for the players. Side measurements, if the thickness remains the same as the previous Omen, the weight goes up a notch with 2.6 kg on the scale. Autonomy should reach 5 hours in Internet browsing with active WiFi. As a rewarding element in this configuration, the storage opts for a hybrid solution combining a 128 GB NVMe PCIe SSD and a 1 TB hard drive running at 7200 rpm (compared to 5400 rpm usually). The first will house the operating system, programs and some games while the second will take care of storage as such. This gives you a particularly responsive operation with a reduced response time compared to a solution with hard disk alone and / or SSD in SATA3. 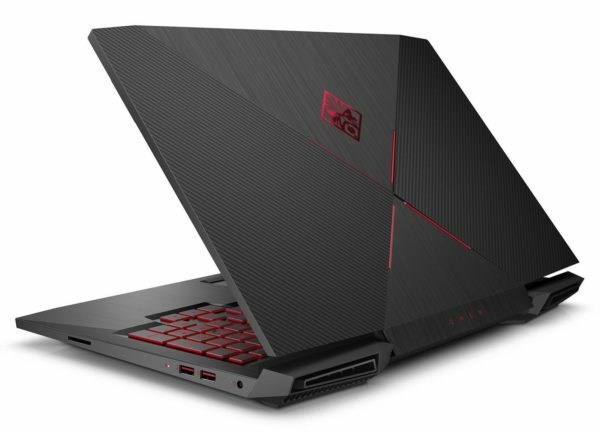 To establish its performance, the HP Omen 15-ce008nf is built around a Quad Core i5 Kaby Lake. This duo can handle all the common tasks, from surfing the Web to publishing and video editing. The multi-core architecture is indeed essential to perform this type of demanding missions (light 3D). You also enjoy a satisfactory fluidity in multitasking with 8 GB RAM, provided you stay in reasonable proportions. 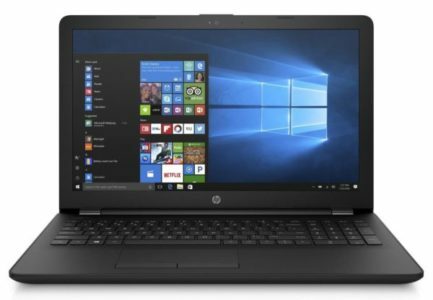 But the primary purpose of the PC remains the game and HP has commissioned the GeForce GTX 1050 (4GB GDDR5) for this, a dedicated mid-range graphics card. Thinking of the occasional game, it surpasses in principle the GTX 960M by about 30% and thus allows to play all the titles of the moment in Full HD with levels of detail “Medium” or “High” and reach 50 fps on the majority of recent opus. But the game in Ultra will not be in his strings, not to mention the 4K. Valuable for the gaming experience, the screen adopts a full HD resolution (1920 x 1080 pixels) at high display density. With such a definition, you can watch your content in High Definition under the best conditions (YouTube videos in 1080p) but also modulate the positioning of windows without losing visibility. In addition, the matte slab is a barrier to reflections related to use in bright environments while the IPS opens the viewing angles and reproduces a true colorimetry. Finally, the connector hosts a Type-C USB port (Gen1, DisplayPort) and a mini-DisplayPort and is finally at the level of its main competitors. As on previous generations, the connectivity modules were favored with the presence of a Gigabit Ethernet port and the latest generation of Wifi AC and Bluetooth 4.2 chips. It also receives an SD card reader, an HDMI output and three USB 3.1 ports.